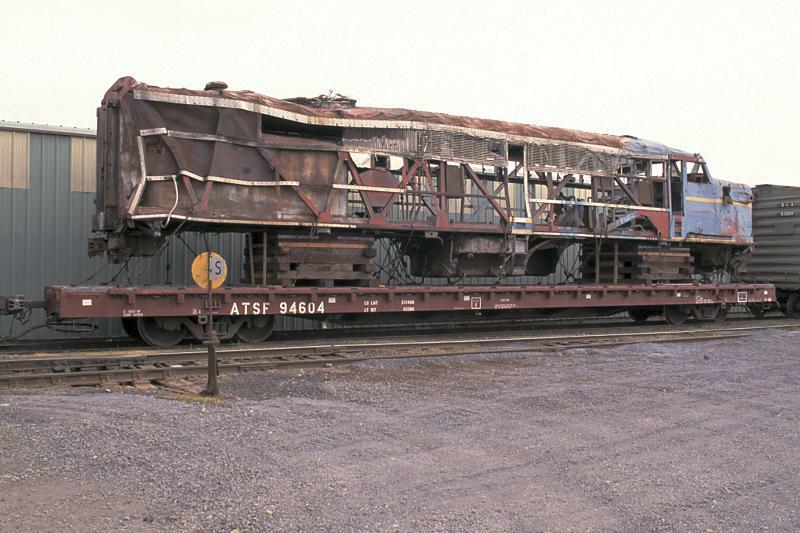 On a cold, rainy and windy Friday, April 28th, 2000 the former Santa Fe/Delaware & Hudson/FNM PA-4's (originally PA-1's, rebuilt by Morrison-Knudsen and designated PA-4) began the last leg of a journey that started in Mexico 10 years ago. 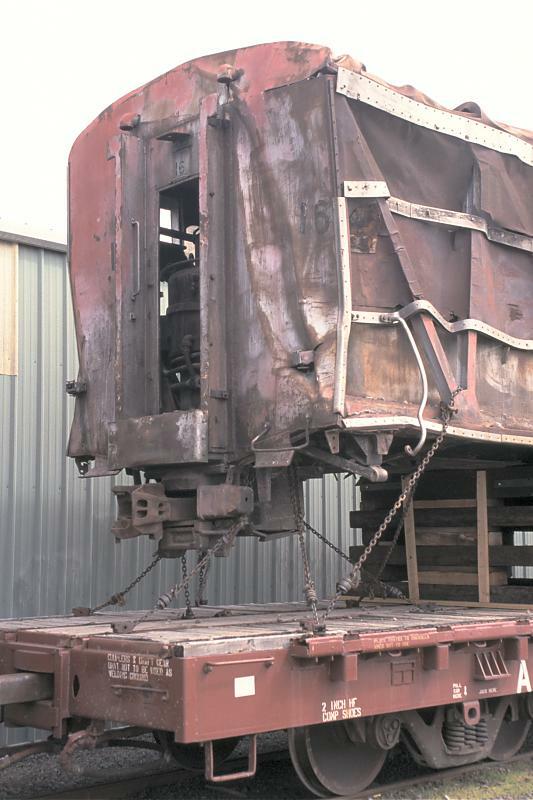 An engineer for Union Pacific and the City of Portland-owned Southern Pacific "Daylight" 4-8-4 #4449, Doyle McCormack worked with the Smithsonian Institution to arrange for the return of these historic locomotives. 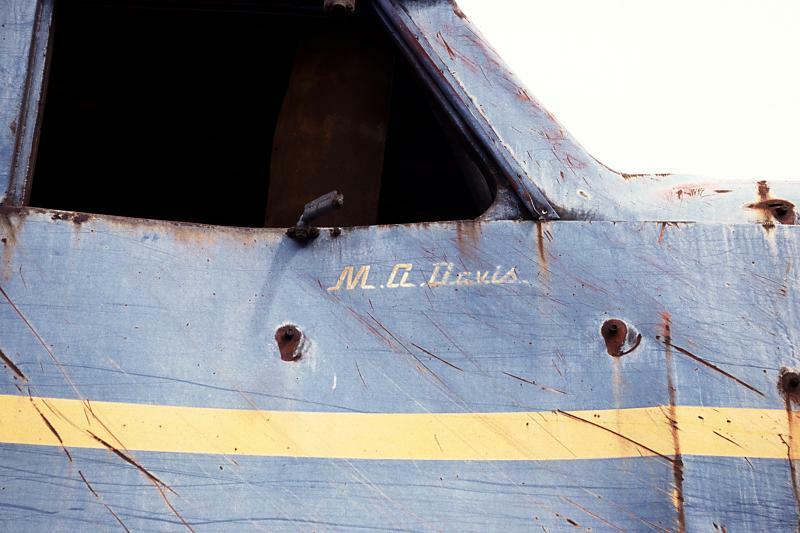 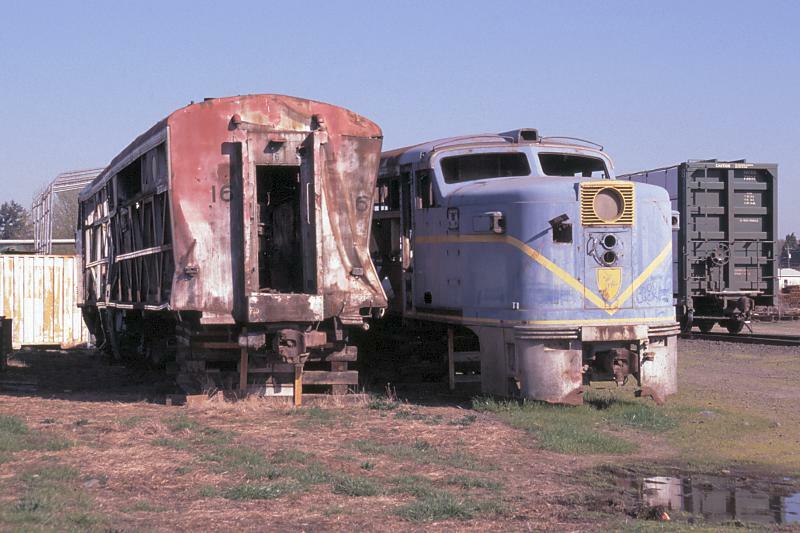 #16 will be cosmetically restored to its original Santa Fe red and silver "Warbonnet" colors and displayed in the Smithsonian, while #18 will be restored to operation and painted as #190 in Doyle's "home road" Nickel Plate Road "Bluebird" scheme. 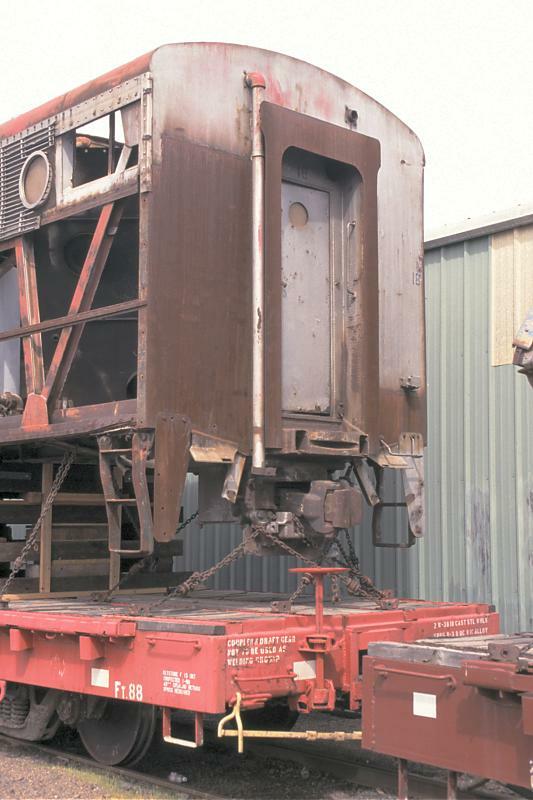 The time to completion has been estimated at 3 to 5 years. 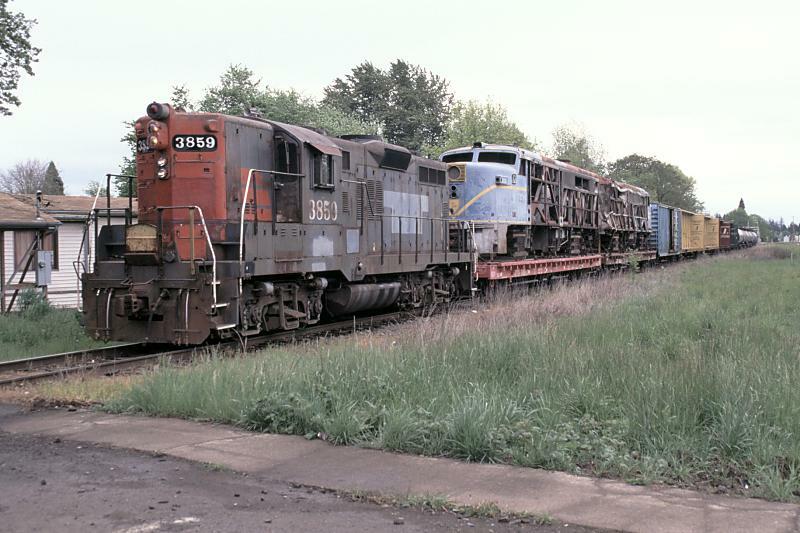 The Albany & Eastern local departs Burlington Northern Santa Fe's Albany Yard for the 2-mile trip to the Willamette & Pacific yard. 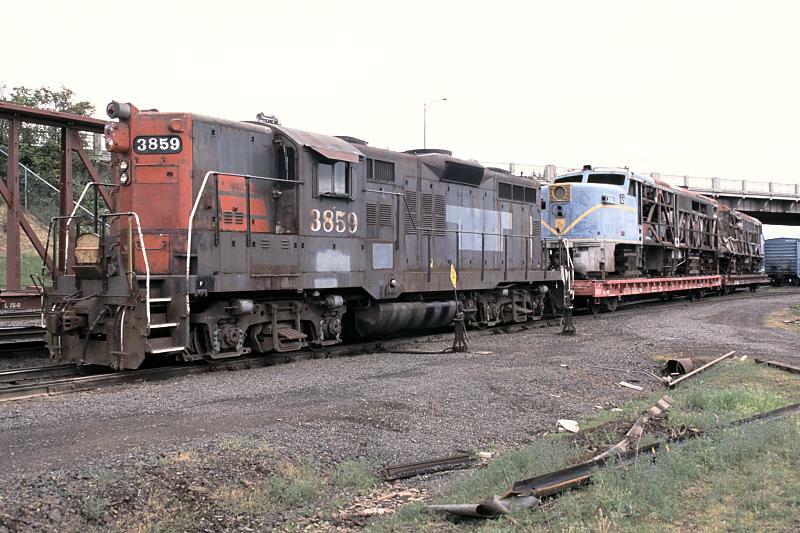 The power for this day's local is ex-Southern Pacific GP9E #3859, only slightly younger than its important cargo. 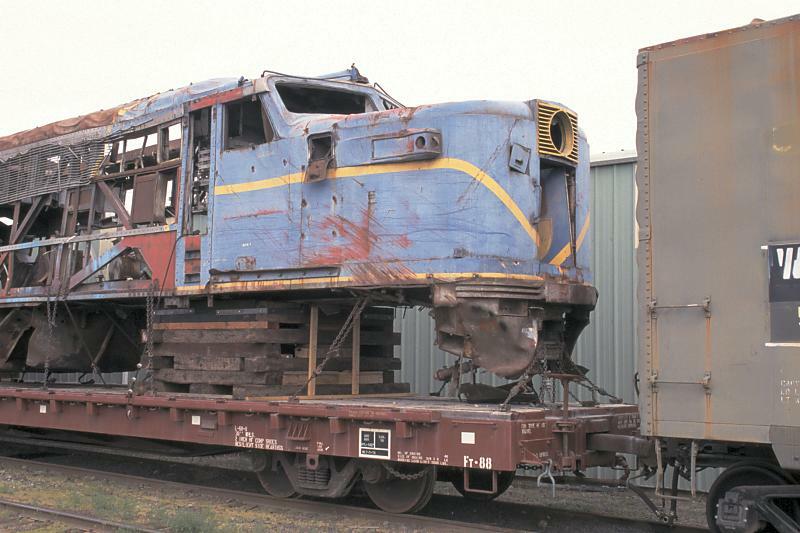 A closer look at what's left of the PA's. 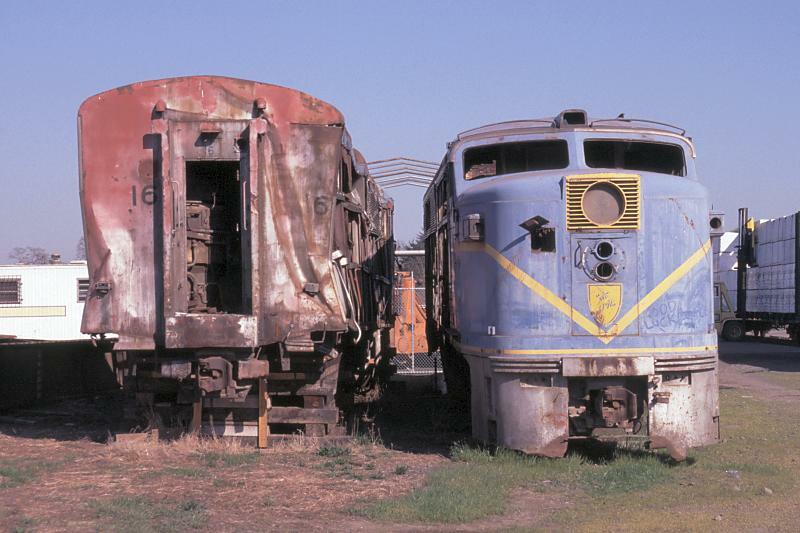 The unit closest to the camera is former D&H #18 (Santa Fe 62L) and is in much better condition than its "partner" #16 (Santa Fe 59L), which was involved in a wreck and rolled over. 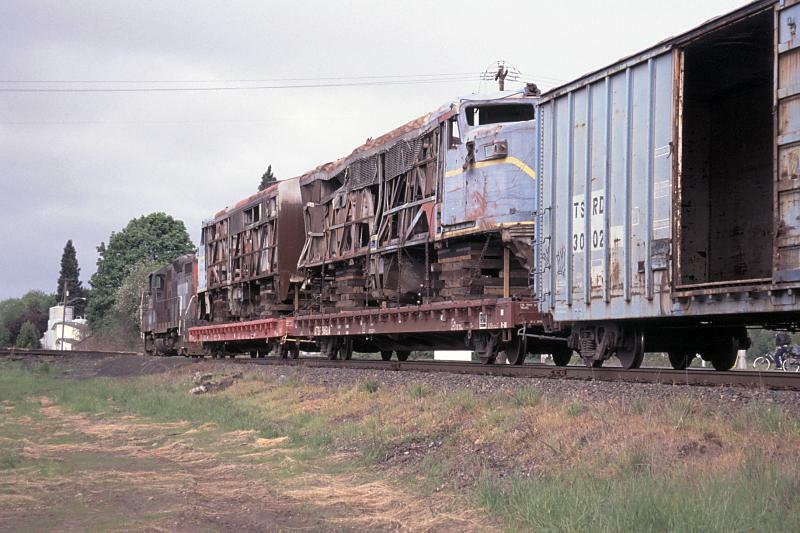 Crossing Davidson Street in northeast Albany. 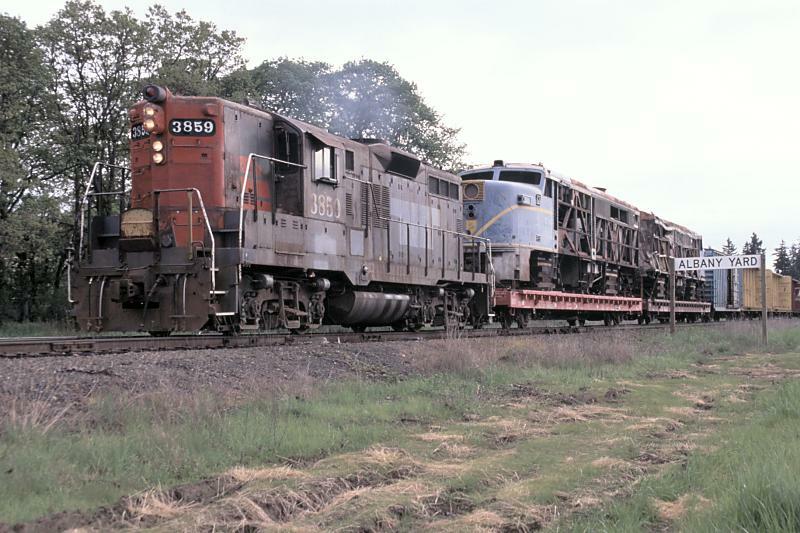 Former Northwestern Pacific engineer Aaron Francis has stopped his train short of the Santiam Avenue grade crossing awaiting permission from UP Dispatcher 70 to cross over the mainline into the Willamette & Pacific yard. 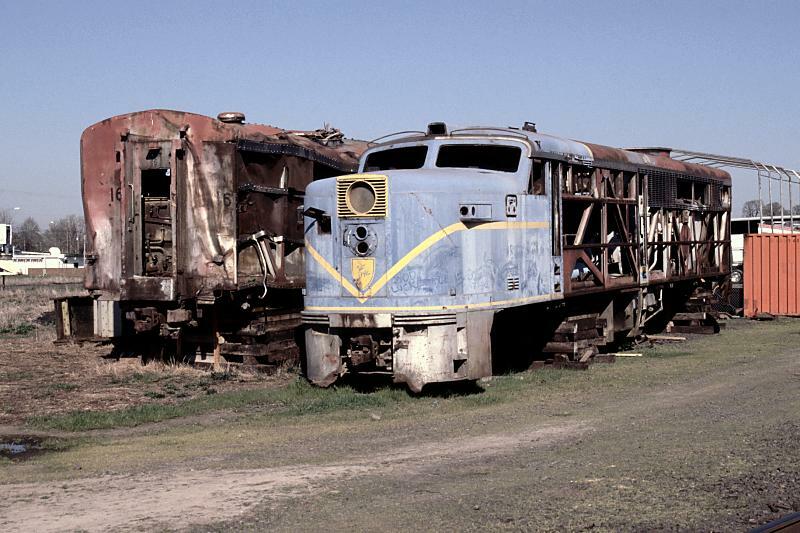 Before the train started moving, I walked closer to finally get a better look at these vintage locomotives. 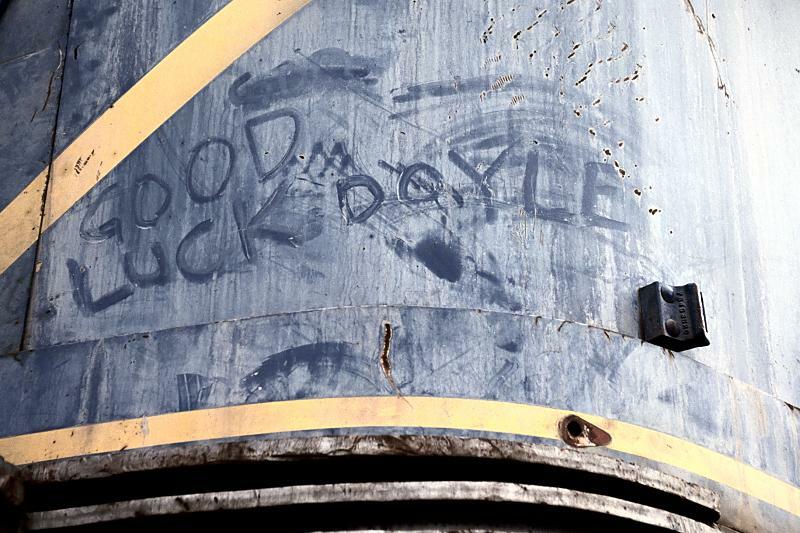 On the nose of #18 were words of encouragement from a well-wisher! 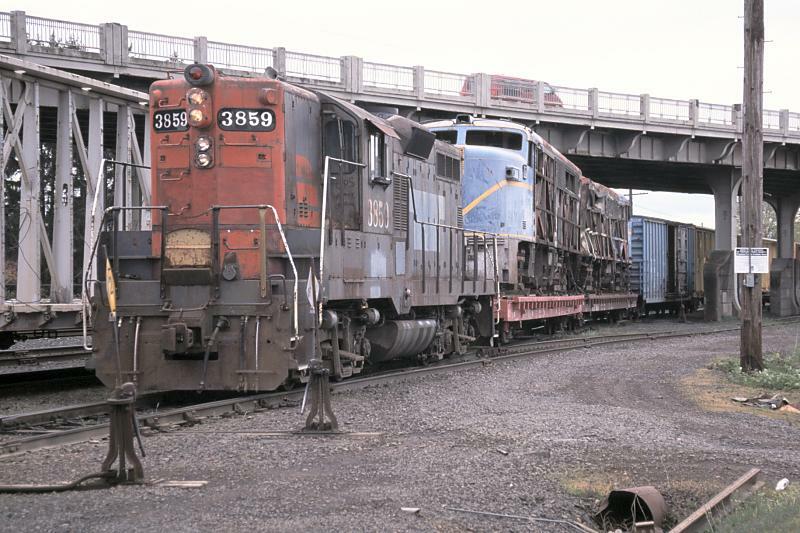 Nearing the end of the circuitous journey, the train is entering the east end of the Willamette & Pacific yard. 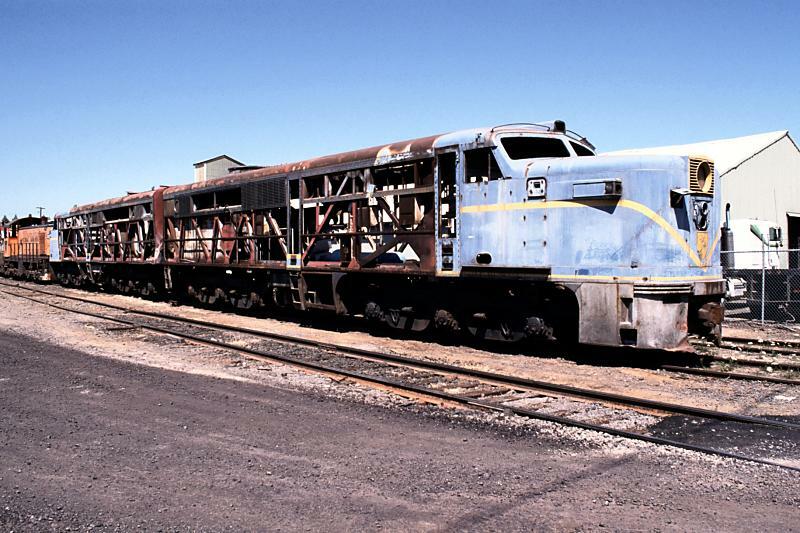 An operating Gyralite announces their arrival. 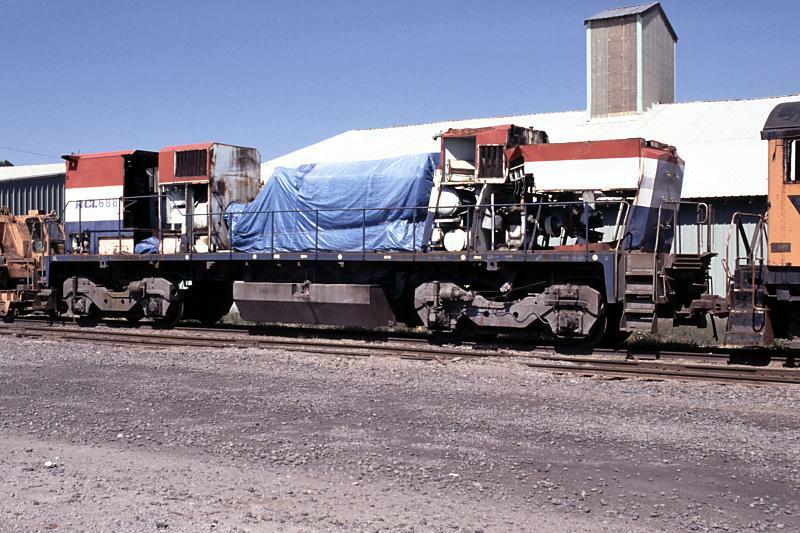 As soon as the switches were lined to the correct track, a pickup truck pulled into the gravel next to me. 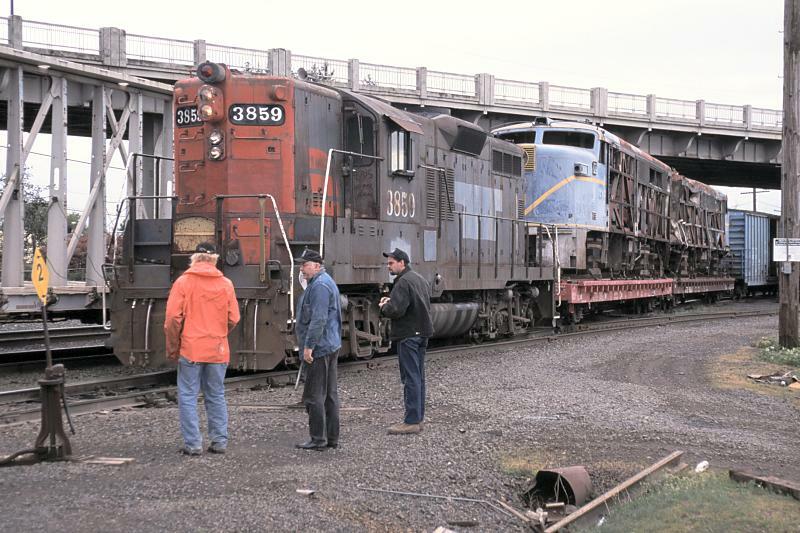 Doyle McCormack (center) had made the trip from Portland to take part in the last few hundred feet of movement! 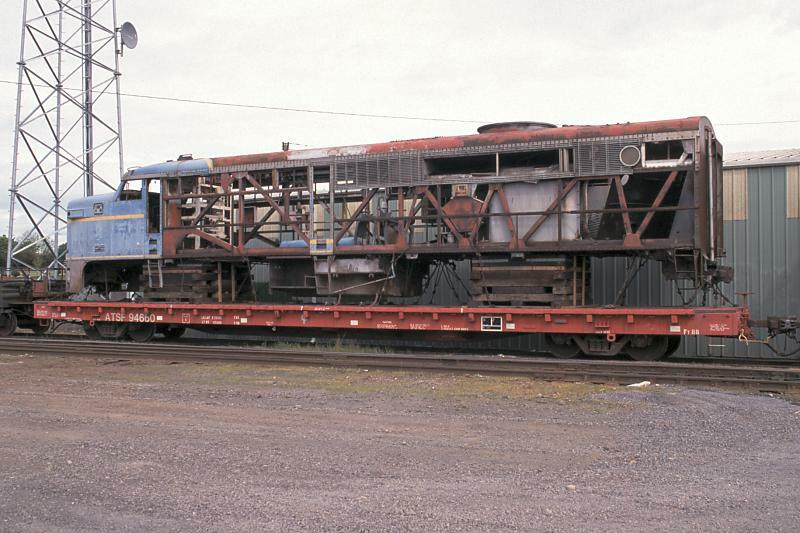 On the move once again, this time with a crowded cab. 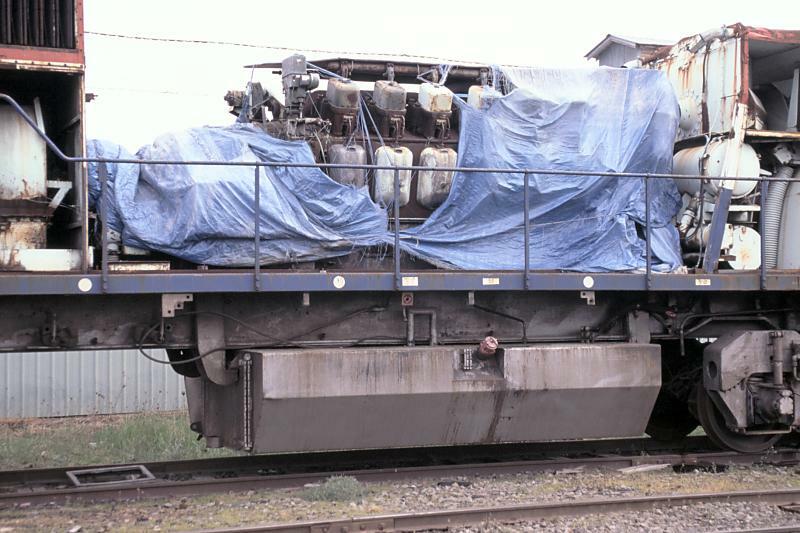 Nearing touchdown, the PA's are now the only loads in the train. 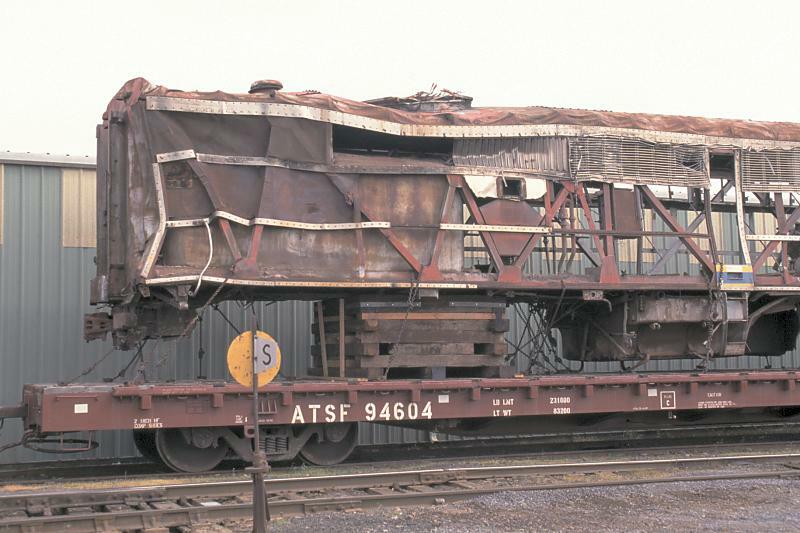 Shortly after delivery, the Willamette & Pacific moved the PA's to a storage track near Jackson St. Below are some images taken on 05/01/2000 illustrating the condition of these once proud locomotives. 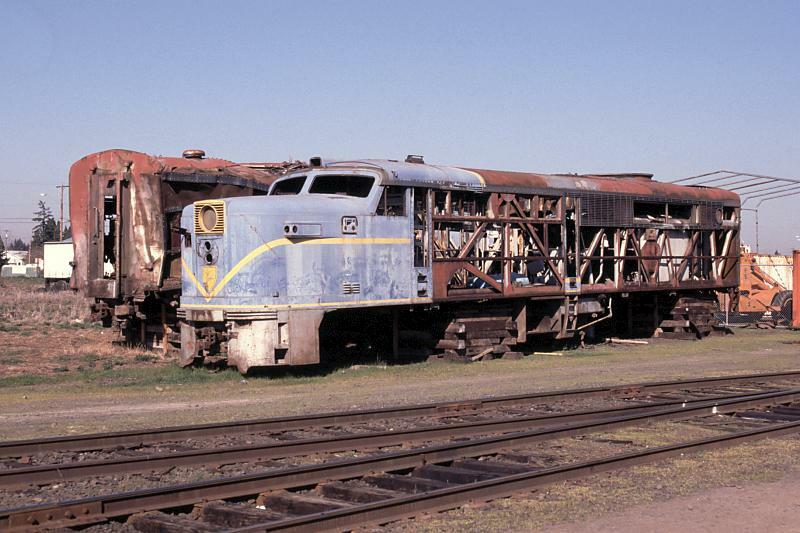 Built as ATSF 59L, 10/48, sold to D&H 12/67, sold to Ferrocarriles Nacionales de Mexico (FNM). 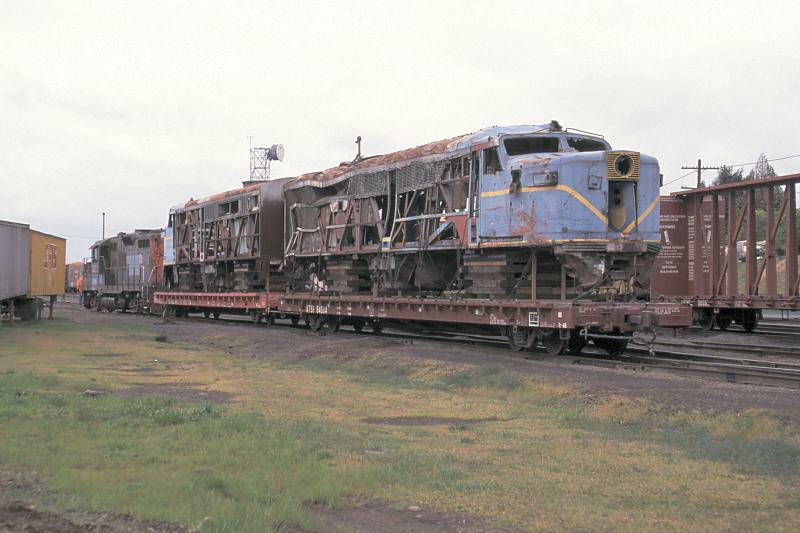 Operated on both FNM and Ferrocarril Pacifico. 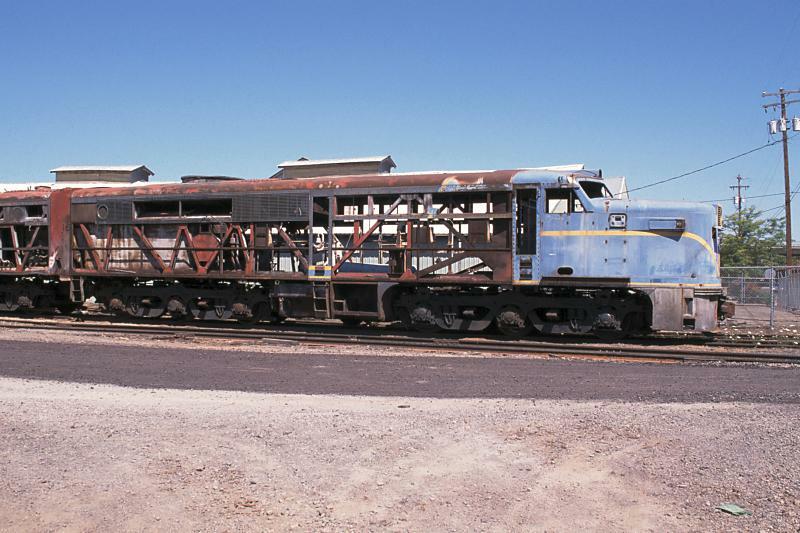 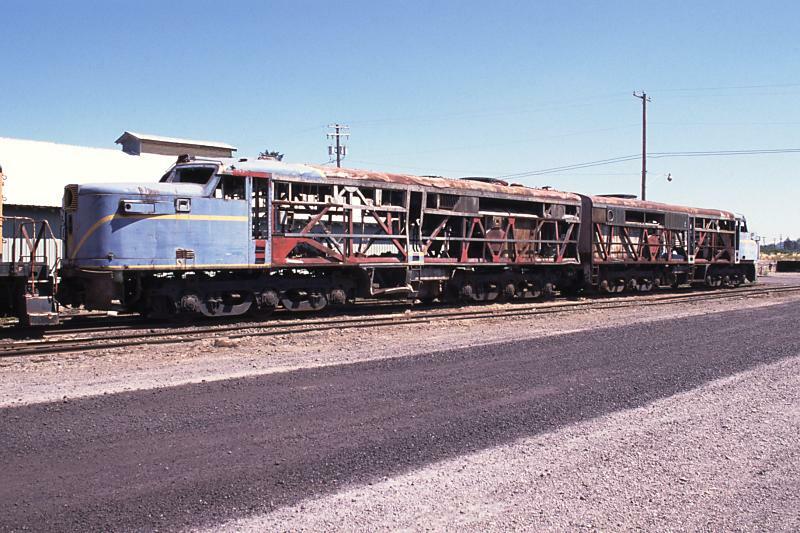 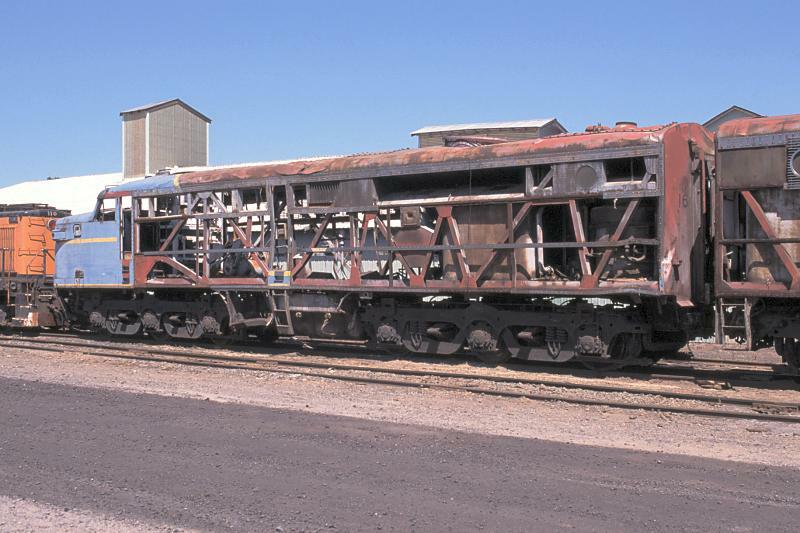 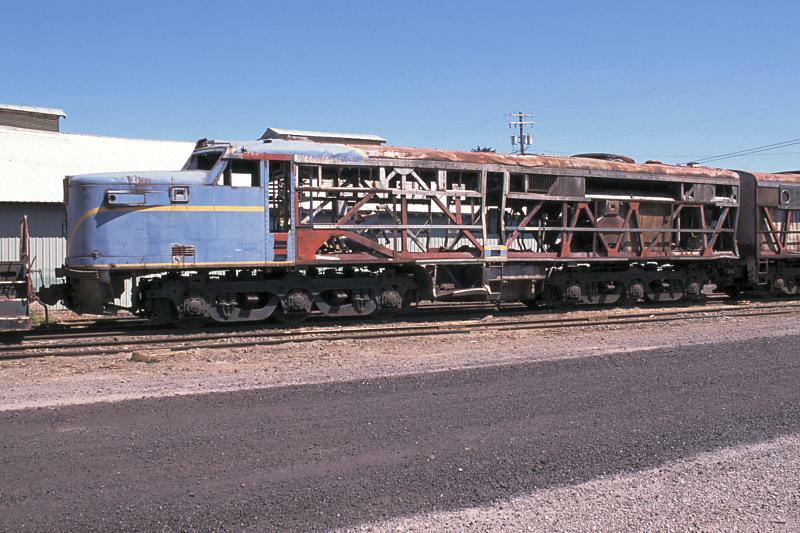 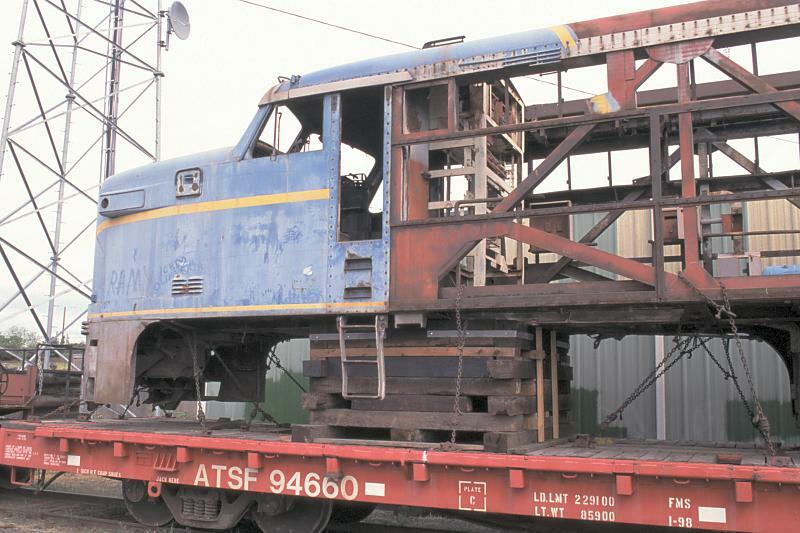 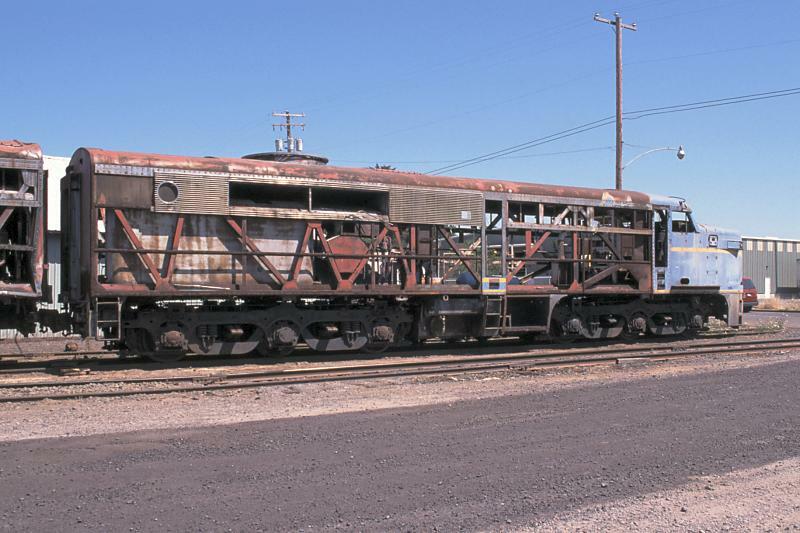 Built as ATSF 62L, sold to D&H 12/67, sold to Ferrocarriles Nacionales de Mexico (FNM). 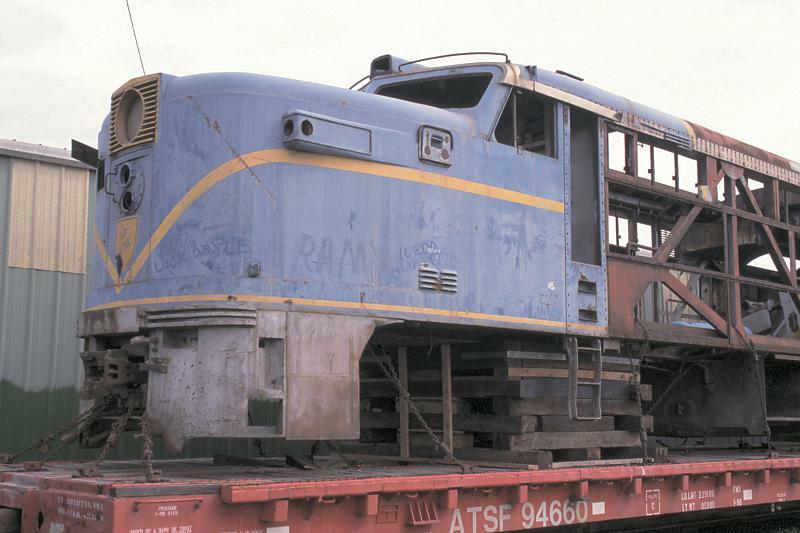 Operated on both FNM and Ferrocarril Pacifico. 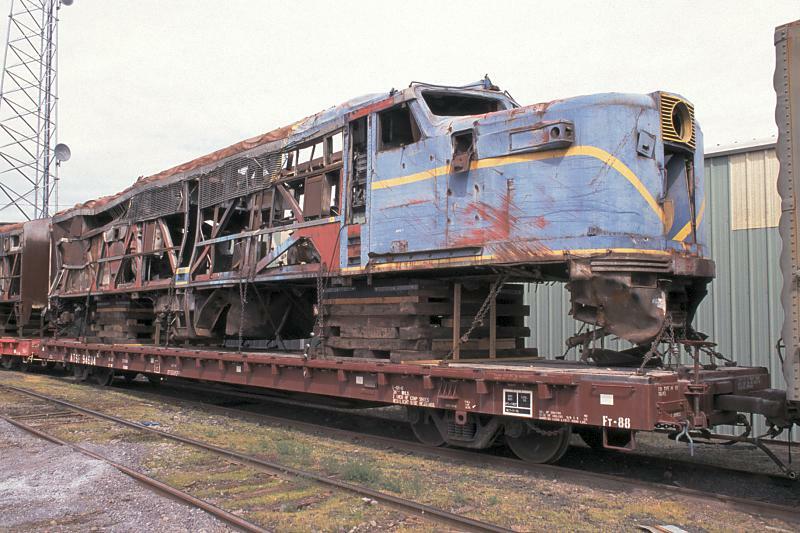 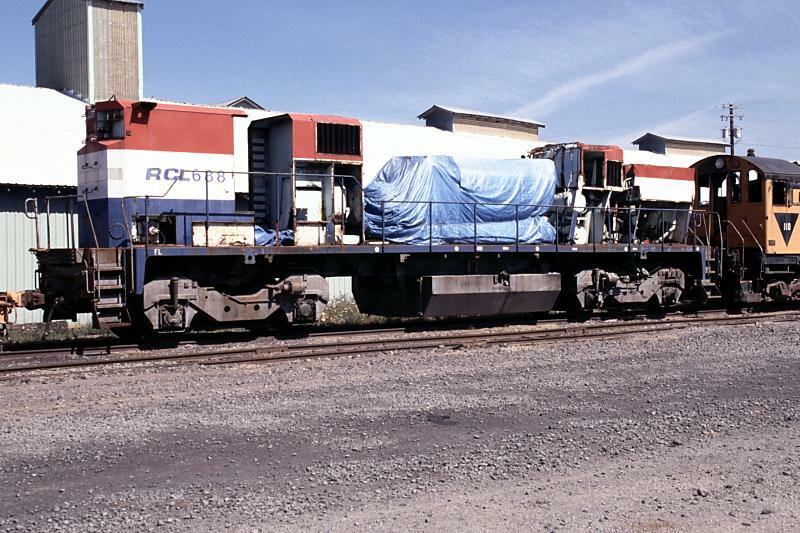 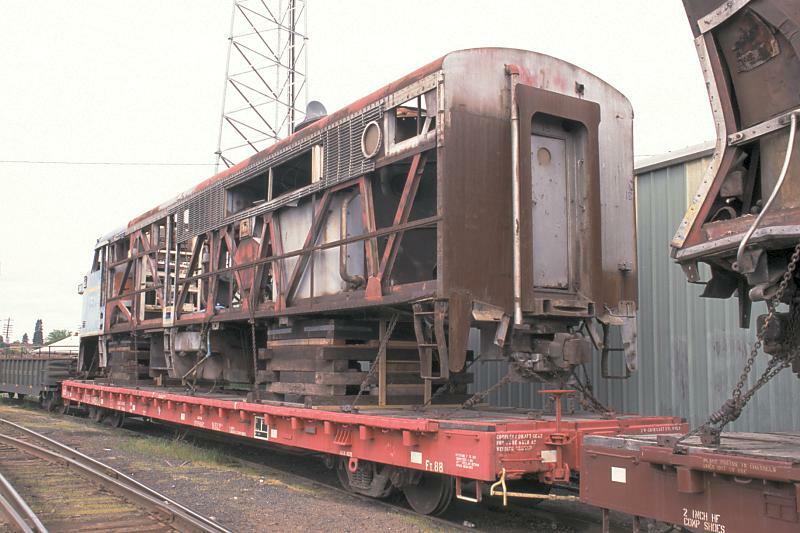 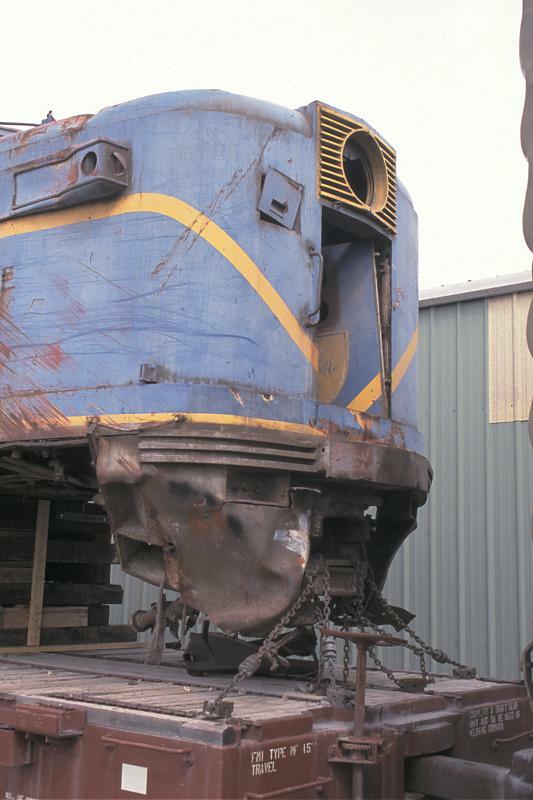 The ALCo 12-251C prime mover from this wrecked BC Rail M420B #RCL 688, as well as the traction motors, will be installed into the operational PA-4. 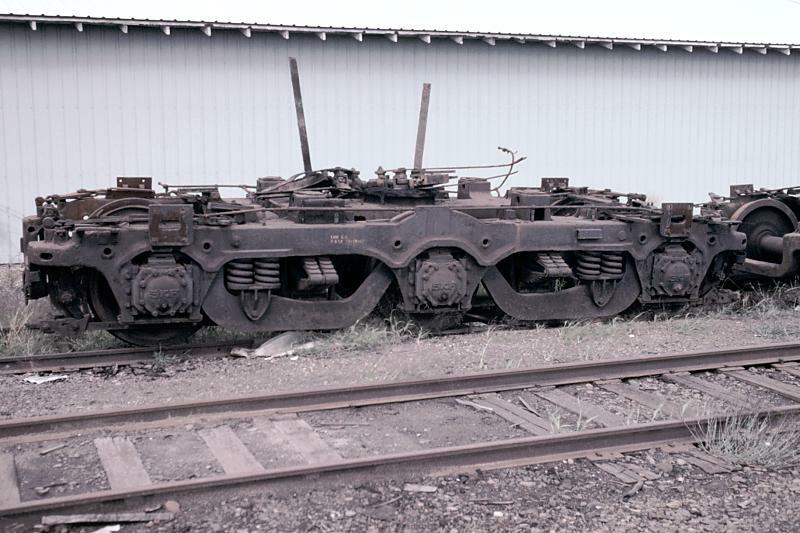 Below are views of the six General Steel Casting A-1-A trucks stored in the W&P yard. 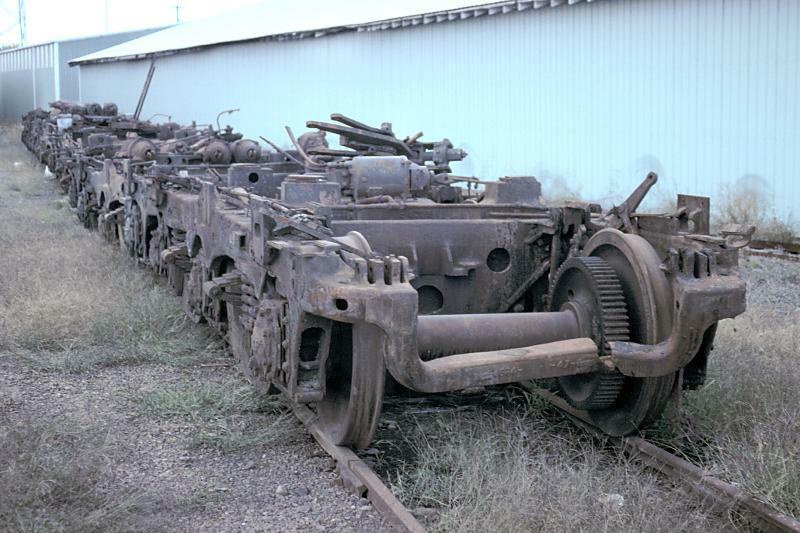 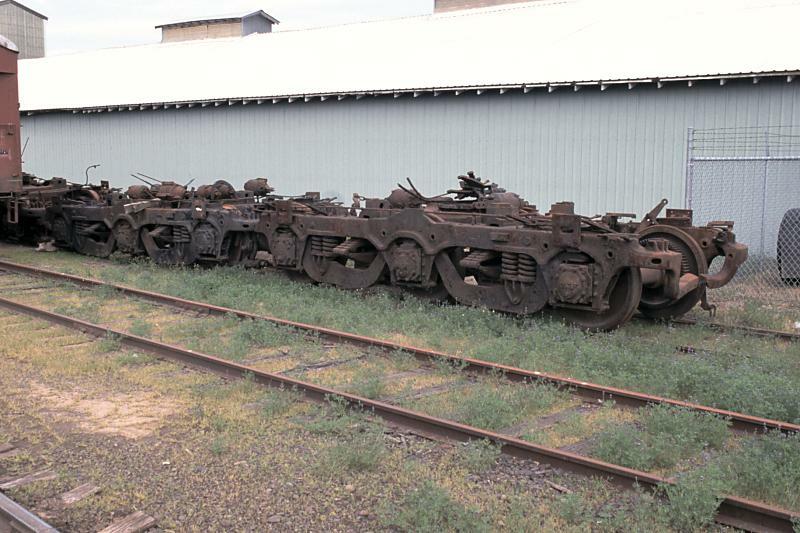 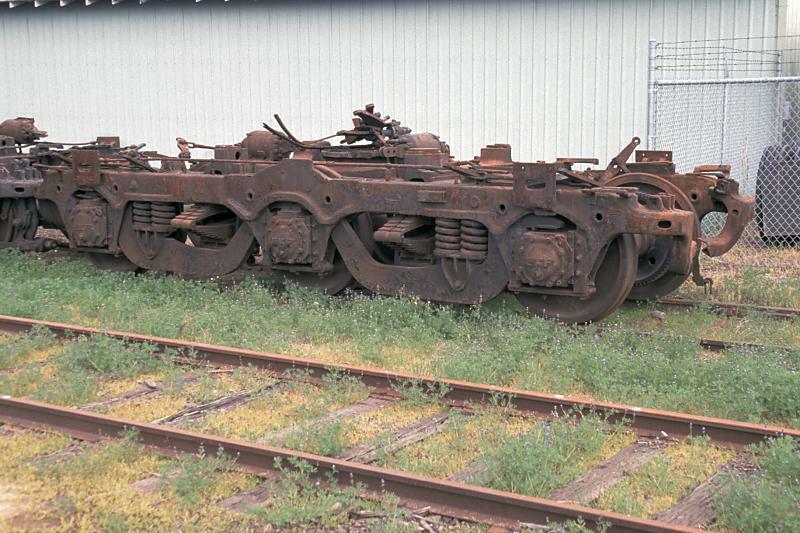 According to information posted on the Internet, these were originally from cabless Pennsylvania RR Fairbanks-Morse "Erie-Builts," and were purchased from a Canadian scrap dealer. 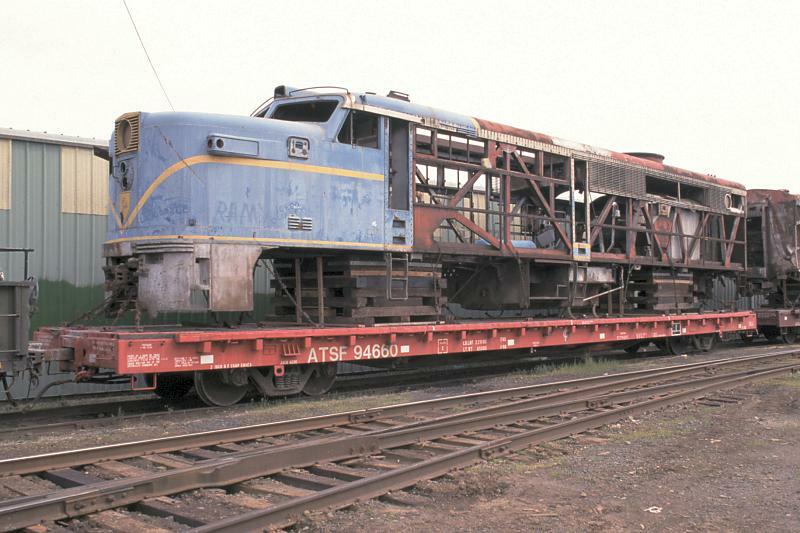 As the original ALCo trucks were scrapped in Mexico, these near lookalikes will have to suffice. 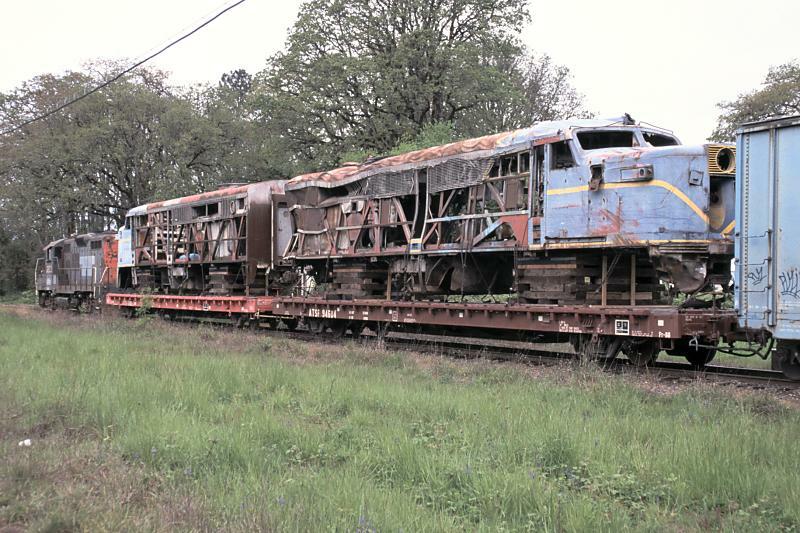 After sitting on the Santa Fe flatcars for quite some time, the PA's and their support cribbing were placed on a site just east of the Willamette & Pacific's yard near a lumber reload facility. 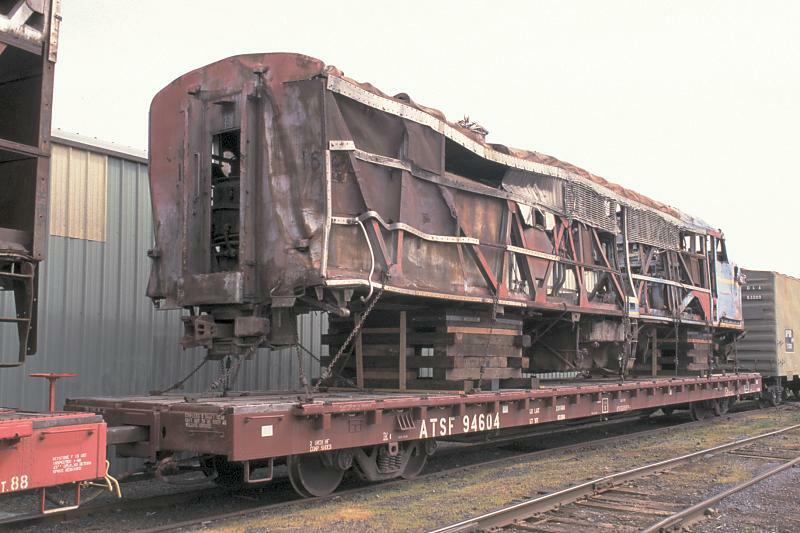 Around the middle of July, 2001, the PA's were removed from their cribbing and placed onto the trucks. 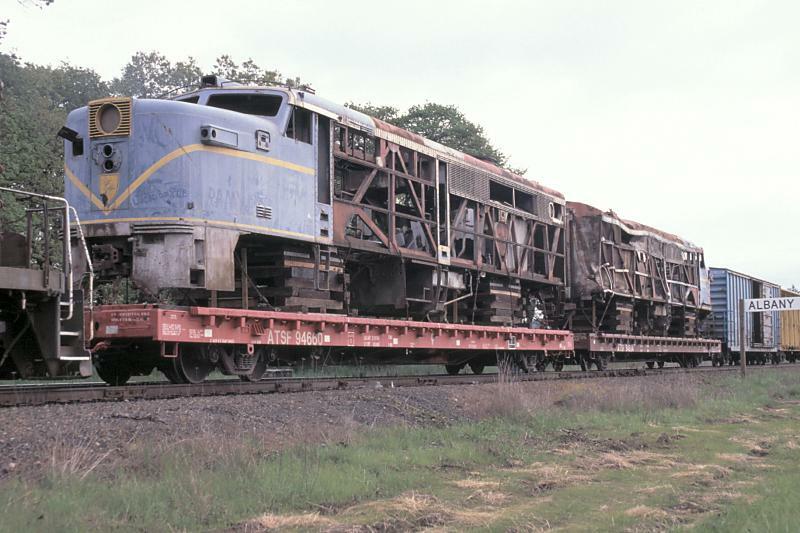 I would like to extend my sincere gratitude to Darren Hadley, Curator and Founder of The Delaware & Hudson Virtual Museum, for providing historical details and other information regarding the PA's. 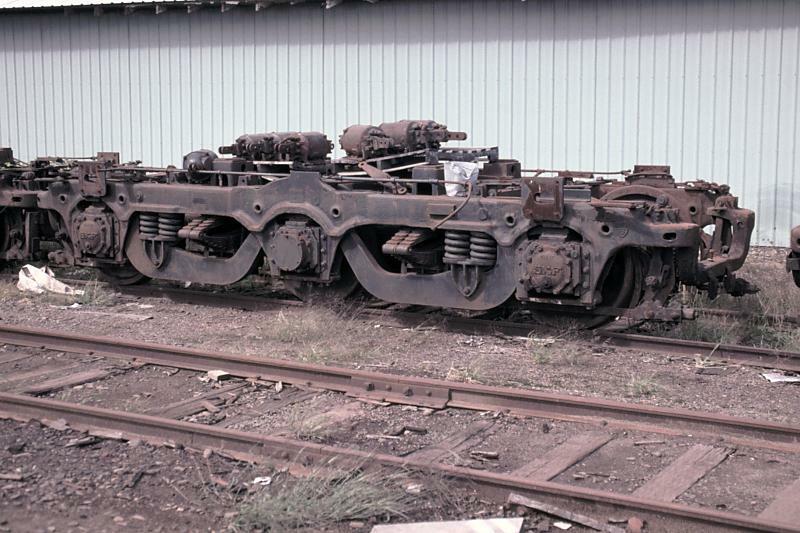 For continuing updates pertaining to Doyle McCormack's Nickel Plate Road PA, James Aslaksen has put together an informative web site, called NKP190.com.